Start a wild adventure at one of Blandford’s Camps! Our enthusiastic camp instructors are waiting to share an amazing world of wonder with your child. Here, nature is the guide — and it leads us to tadpoles in the pond, pioneers in the garden and feet in the mud! We look forward to helping your family discover the wonders of the seasons. REGISTRATION FOR 2019 SUMMER DAY CAMP IS OPEN! Due to the inclement weather earlier this year, some schools are extending into the camp season. If you’d like a refund for your child, please email Diana Klein at registrar@blandfordnaturecenter.org. If your child will be in school only a partial week and would still like to attend camp, we can offer you a partial refund for days not attended. 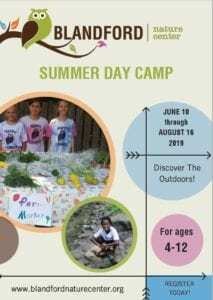 View our Summer Day Camp Brochure to see camp dates, age groups, and themes then register using the approriate links below! Your membership must be current when your camper(s)’ selected camps begin to receive member benefits (early registration and discounted pricing). Thanks to the generosity of our donors, we are able to offer camp scholarships (camperships) to families who might not be able to afford a camp experience. A limited number of camperships are available each summer. After applying, please wait for a confirmation email before registering. We will provide you with a discount code to use at registration. Check out our camp information guides for more information on check-in/check-out, what to bring, expectations and more. These information guides will be emailed to you a week prior to your child’s camp. 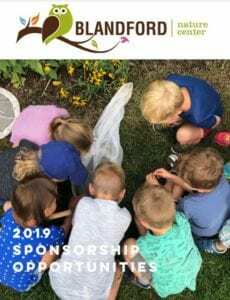 Interested in sponsoring Summer Day Camp? Click the photo to see levels, perks, & more! Each summer, Blandford provides an opportunity for teens ages 13-18 to volunteer for 1-2 weeks as a Summer Camp Aide. Click here for the Camp Aide application. The application deadline for camp aides is Monday, April 29th. 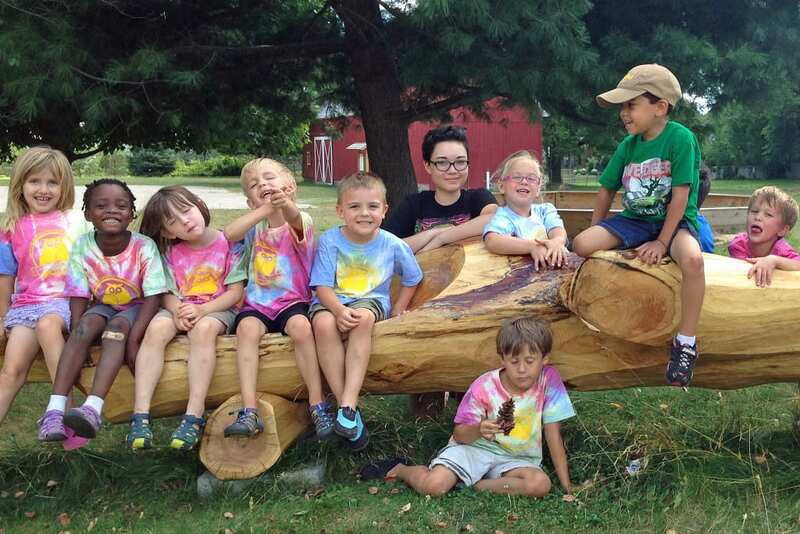 Please contact our Camp Administrator regarding Summer Day Camp at maryrose@blandfordnaturecenter.org or call 616-735-6240. 2018/2019 WINTER BREAK CAMPS HAVE PASSED! Please check back for 2019/2020 Winter Break Camp information. Thank you campers, camp aides, parents and educators for a great camp season! Please contact our Community Programs Manager regarding Winter Break Camp at amber@blandfordnaturecenter.org or call 616-735-6240 ext. 111. 2019 SPRING BREAK CAMP HAS PASSED! Please check back for 2020 Spring Break Camp information. Please contact our Community Programs Manager regarding Spring Break Camp at amber@blandfordnaturecenter.org or call 616-735-6240 ext. 111.